Manufacturer of a wide range of products which include double towel bar, glass shower sliding systems, shower enclosure system, shower hinge and towel bar. 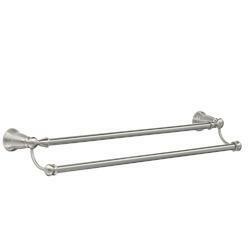 Owing to our rich industrial experience, we have been able to trading and supplying a wide range of Double Towel Bar Offered at industry leading price, this Towel Bar and Rod is superior in quality and durable. The offered range is manufactured at vendors end as per the defined quality norms. 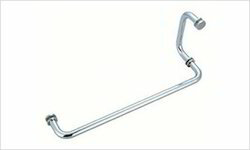 This tower bar and rod is available at nominal rates. Our clients can avail from us Shower Partitions, which cater to the needs of various hotels and resorts. This Cubicle glass partition comes with one fixed and two movable glasses. Backed by a team of adroit professionals, we are offering a qualitative range of Shower Enclosure System. This Shower Enclosure System is manufactured as per latest technological advancements by utilizing quality approved material under the guidance of our skilled professionals at vendors end. Moreover, the customers can avail these Shower Enclosure Systems as per their requirements. 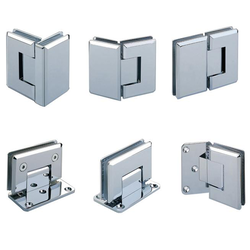 We are engaged in trading and supplying the wide range of Shower Hinge. This Shower Hinge is manufactured by using premium quality brass and the latest technology at vendors end. Being a quality driven company, we assure our patrons that these Shower Hinges are good in terms of strength and top quality. These hinges are mostly used while the fitting. It’s the most durable and heavy duty shower hinges available in a market. Backed by rich industry understanding and awareness, we are able to offer a broad array of Towel Bar at highly reasonable price to the clients.